What better way to experience Northern Arizona than by staying at one of our independently owned bed and breakfast member inns? 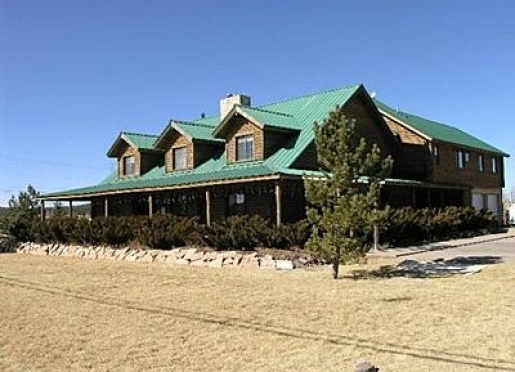 Each of our fourteen bed and breakfast accommodations has been inspected by Distinctive Bed and Breakfasts of Northern Arizona and is committed to providing you with a unique, comfortable and personalized stay. From home-stays to country inns our bed and breakfast members offer an array of lodging options. You'll find Victorian, antique filled B&Bs, nature getaways and woodsy lodges, self catering cottages, and comfortable home stays within our membership. Each offers unique accommodations and interesting personalities. Why stay at a Flagstaff, Williams or Grand Canyon hotel when you can get better service, cozier accommodations and interesting conversation by staying at a local bed and breakfast? We don't call Arizona the Grand Canyon State for no reason! If you think that Arizona is all cactus and hot desert you must come to the Northern part of Arizona. Only a two hour drive from the hot Phoenix desert, at 7000 feet Flagstaff and Williams offer fresh air, sunny skies, and cool pine forests with plenty to do. A year round mecca for outdoor adventure and the base camp for discovering Northern Arizona's many treasures including the Grand Canyon, Meteor Crater, the Lowelll Observatory, Navajo and Hopi reservations, ancient Native American ruins, the Arizona Snowbowl, and more. Flagstaff and Williams offer the perfect weekend getaway or week long vacation. Whether you're looking for a short getaway or an extended vacation plan to make one of the Distinctive Bed and Breakfasts of Northern Arizona in Flagstaff or Williams , your "home-base" for a memorable Northern Arizona adventure. 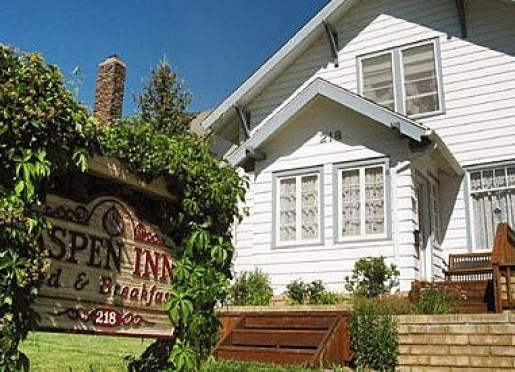 All member Inns are inspected and approved by Distinctive Bed and Breakfasts of Northern Arizona! 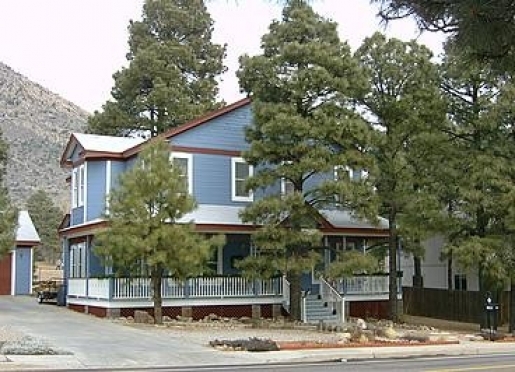 MISSION STATEMENT: Distinctive Bed and Breakfasts of Northern Arizona is a not for profit, voluntary association of Bed and Breakfast inns located in the greater Flagstaff and Williams Area. Its purpose is to promote the professional operation of its members and to foster mutual support and fellowship amongst them. Why stay at a Bed and Breakfast? To experience the unmatched ambience, extra privacy, better food and personalized service that only a B&B offer. Every bit as convenient as an upscale hotel, a B&B gives you more comfort and superior value for your travel dollar. Our carefully screened members provide you with a complete array of unique and memorable experiences-from intimate two-bedroom homes and self-catering cottages to historic downtown B&B's and charming country inns. Warmth, comfort and friendly hosts in Arizona's cool pine country! Please choose from a Flagstaff or Williams B&B below. 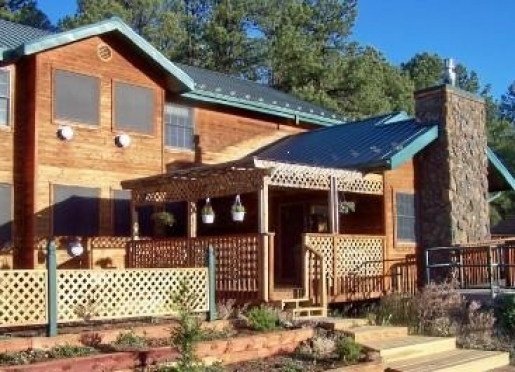 A quiet retreat in the mountains just outside the City of Flagstaff, the Abineau Lodge Bed and Breakfast is a perfect setting for a romantic getaway, outdoor adventure base camp or a hub for scenic tours. Our nine rooms each have a private bath and are decorated in a cozy mountain lodge style. We offer moderate rates, a full country breakfast, on site weekend restaurant, and wine and beer sales. Owner Tom Taylor imagined and built this ""stunning"" solar powered, log lodge and offers Astronomy and Photography services as well as a gourmet B&B. 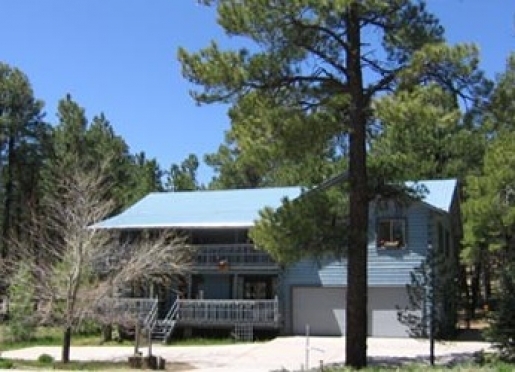 Located ""just out of town"" past the Flagstaff ski areas with the ""best mountain views and darkest skies in all of Flagstaff""...on the way to the Grand Canyon! An elegant 1912 restored home. Located three blocks from the heart of downtown. Enjoy full breakfasts & private baths. We offer incredible personal service with European flair. Quiet retreat in a residential area on an acre. Four uniquely decorated guest rooms/ensuite baths with jacuzzi tubs & gas fireplaces in all. Delicious full breakfasts. Private entrances. Out West Mountain Town Elegance. Four blocks to Historic Downtown, three to wooded hiking trails. Savor the richness of past and present in this storied 1902 house. Four characteristic rooms, baths en suite. Sumptuous breakfast. Recommended by Frommer's. Your home for Tonight! Rustic Elegance with Historic Charm and Hospitality which is the "Best in the Southwest"! Away from the Downtown Train track noise & snuggled amongst tall shady pines of the city with the Forest in our backyard & the peaceful sounds of nature in a country setting. ONLY 30 miles to Sedona's Red Rock and 80 miles to the Grand Canyon!! Close to shopping/dining and discounts to some local restaurants. Take a tour to the Grand Canyon, Helicopter ride over the canyon, Smoothe river raft trip, Jeep tours to the bottom of the canyon, scenic train ride over the verde river or just relax with a massage, we OFFER it all to make it easier for you! Stay 3 nights and get the 3rd at 50% off, Jan.-March! 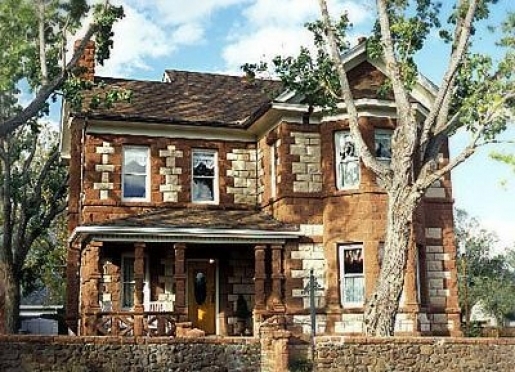 "Northern Arizona's Best B&B" - Frommer's Grand Canyon Guide. #1 on Tripadvisor. Featured on AZ Highways Travel Magazine. Historic 1894 estate with 9 uniquely themed rooms and suites, all with private baths and fireplaces, some with Jacuzzis, and award-winning breakfasts. 2 block walk to historic downtown shops, galleries, restaurants and bars. A TOP 10 Bed and Breakfast! Ask about our flexible/LATE check-in time & THIRD NIGHT FREE Stunning Mt. Elden Views - Best in Flagstaff! 5-10 Minute Ride to Historic Downtown! Large Wrap-Around Porch, 4-Rooms w/Private Baths. Tiffany Decor, Fireplaces & Gourmet Breakfasts. The Grand Canyon's most charming hotel, featuring wonderfully appointed guest rooms located in the historic district of downtown Williams. We offer a special place for very special people - all rooms are non-smoking and feature private baths, direct dial telephones, and cable color television. We are a AAA rated lodging property. Relax in the evening or early morning on our porch. Take in an Arizona sunset while you forget the worries of the day and drift into the comfort and serenity of a breezy evening. Listen to the long, soulful whistle of the Grand Canyon Railway, just a few blocks from the Inn. Traveling for a special occasion? Why not ask about our unique rooms or a parlor suite. 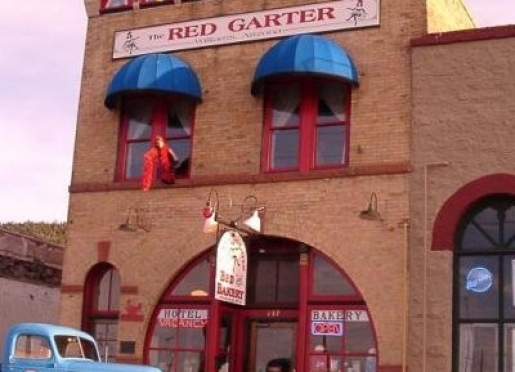 The best choice for romantic getaway, located in Williams, AZ, "Gateway to the Grand Canyon"". Cited in Frommer's Grand Canyon National Park Guide, 2010. Inquire about reductions for 3 nights or more visit! Elegant Luxury Delivered With A Homespun Touch! A beautifully restored 1897 saloon and bordello just across Historic Route 66 from the Grand Canyon Railway, in Williams, Arizona. The twelve-foot high ceilings and antique furnishings capture the 1890's atmosphere without giving up the comfort and security expected by today's traveler. One look at all there is to do within 90 minutes of Flagstaff will tell you why you should make one or our member Bed and Breakfasts your home away from home while visiting the Grand Canyon and Northern Arizona. Below are 4 recommended daytrips with Flagstaff as your basecamp. We've also provided some Flagstaff and Williams highlights and attractions, as well as recommended restaurants. The innkeepers at your B& B will be happy to help you plan your stay. We all look foward to welcoming you! Only 90 minutes from Flagstaff, but you will want to make this a full day trip. Leave your bed and breakfast after breakfast, head north on Rt. 89, stop at the Cameron Trading Post (one mile north of the Hwy 64 turnoff) and enter the Grand Canyon National Park on the east side at Desert View. Enjoy the overlooks along the East Rim Drive. This is where you really see the colors of the canyon. Stop for lunch in the Grand Canyon village - the dining room of the El Tovar is recommended. Head south on Rt.64, stop at the Imax theater in Tusayan, and return to Flagstaff on Rt. 180 in time for dinner. A full day trip. Leave the inn after breakfast, head south on Rt. 89A, stop at the scenic Oak Creek overlook at approximately 13 miles. As you drive down the canyon, take your time and enjoy the red rocks. Shop downtown Sedona and Tlaquepaque. Or, take a hike, a jeep tour, visit the ruins or stop at a winery. Return to Flagstaff through Oak Creek Canyon in time for dinner. *Optional add on - Continue west from Sedona on Rt. 89A to the old mining town, now arts and crafts colony of Jerome. Stroll the galleries. Stop at Tuzigoot National Monument on the way back, if time allows. An easy day trip. Leave the inn after breakfast, head north on Rt. 89 and take the turn toward Sunset Crater. This is an extinct volcano and lava flow with a visitor's center and a nature trail. Continue on this road to Wupatki. Here is a well-restored pueblo style ruin. Signs point out a couple other ruins off the main road. Continue on this road to rejoin Rt. 89 and turn south back toward Flagstaff. When you get back into town, catch eastbound Interstate Rt. 40 at the first opportunity. In just a few miles you will find the exit for Walnut Canyon. Here are cliff dwelling style ruins where you can walk right through the ruins. It's a quarter mile hike on a paved trail into the ruins or enjoy the view from the nature trail along the rim. Return to your bed and breakfast for some relaxation before dinner. A very full day trip. Head east on Interstate 40. Meteor Crater, at exit #233, is an impact crater with a visitor's center that describes the astronaut's lunar training here. Homolovi Ruins, at exit #257, has only recently been excavated and the work continues. It was recently named a state park to protect the ruin site. Continuing east to Holbrook, take Exit 180. After approximately 19 miles enter Petrified Forest. Stop at the visitor's center and walk the trails. Drive north through the park to the Painted Desert. Stop at the overlooks. Catch westbound Interstate 40 for the drive back to Flagstaff, hopefully in time for dinner. To make this a more manageable day you might omit either Meteor Crater or Homolovi Ruins depending on your interests. Williams is nestled at the base of the Bill Williams Mountain, in the Kaibab National Forest, off Interstate 40, just 30 minutes west of Flagstaff. Historic Route 66 travels through the center of town where vintage shops and restaurants are located. You can get to Williams from Phoenix and Tucson by taking Interstate 17 to Flagstaff then take I-40 west to Williams. The town sits at an elevation of 6,780 feet. The climate is cool all year. The low winter temperature average is 23 degrees and the summer high average temperature is 80 degrees. Williams is known as the "Gateway to the Grand Canyon", and offers the shortest path to the Grand Canyon from Interstate 40, only 59 miles. There are several attractions that you must see during your visit to Williams. The Grand Canyon Railroad provides daily trips to the South Rim of the Grand Canyon. Williams has an abundance of outdoor activities, particularly the Sycamore Canyon Wilderness Area that boasts the second largest canyon in Arizona. Visitors can enjoy the most scenic point of the canyon, just minutes away from Williams. Williams has four beautiful lakes: Cataract Lake, Kaibab Lake, Dogtown Lake and White Horse Lake. Memorial Day Weekend - Rendezvous Days, a celebration of western heritage. Activities include a black powder shoot, parade, carnival, concerts, and dances. The Arizona Harley-Davidson Owners Group rally in June features a number of motorcycle events, parade, poker runs, live bands and dances. This is an annual event in Williams. A Small Town 4th of July features a parade, an old-fashioned ice cream social, barbecue at Visitor's Center, craft sale at the Visitor's Center and a spectacular fireworks show at dusk. It's a regional favorite! 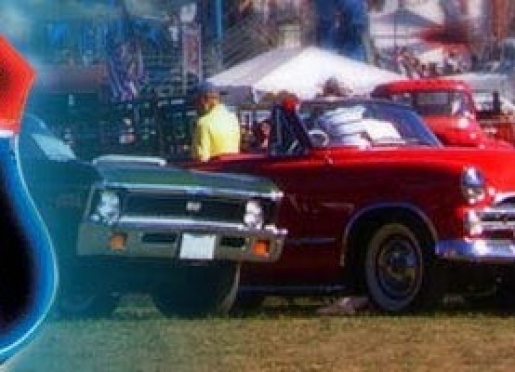 In August join the fun at the annual Cool Country Cruise-In and Route 66 Festival featuring an open classic car show, battle of the bands, sock hop. Enjoy a trip back to the 1950's. Rodeo fever hits town during a festive Labor Day weekend when Williams turns into a cowboy lover's paradise with a western parade, BBQ, dances, many more activities and a three-day Professional Rodeo Cowboys Association competition. Flagstaff, the perfect destination in any of our four mild seasons, enjoys almost 300 days of sunshine and all our area attractions are within an easy drive of the area's inns. Ask any of our innkeepers to help you plan your itinerary. Museum of Northern Arizona - A world class institution with collections, research and exhibits on the archaeology, geology, natural history and Indian cultures of the 4 corners region. Start your visit to the Southwest here to more fully understand the many wonders of this area. Allow 2 to 3 hours. The gift shop has excellent authentic Indian arts and the book shop has everything you could want to know about the Southwest. Call 928/774-5213 for hours and current exhibits. Lowell Observatory - Founded in 1894, the planet Pluto was discovered here. While this is still an important research facility today, the new visitor's center has fun, educational displays. Many evenings the telescopes are available for public viewing, don't miss the 24 inch telescope. Call (928)774-2096 for hours, current programs and telescope viewing times. Riordan Mansion State Historic Park - This 13,000 sq. ft., 40 room log cabin style mansion was built in 1904 for two brothers who married two sisters and started the logging industry in Flagstaff. One of the first structures in town with electricity and indoor plumbing, it was a grand house for its day. The furnishing are of the Mission and Craftsman styles with many original Stickleys, and everything is original to the house. Guided tours are offered. Call (928) 779-4395 for reservations. Historic Downtown Flagstaff- The historic downtown Flagstaff has been restored during the past two decades with the completion of Heritage Square in 1999. The shops, galleries and restaurants provide a very pleasant environment for strolling, shopping or just sitting with a cup of coffee. For nightlife, downtown Flagstaff has numerous restaurants and bars. During the summer, "Movies on the Square" are shown every Friday night. Year-round enjoy our first Friday of each month "Art Walk" as the galleries stay open late for visitors. San Francisco Peaks - Miles of trails for hiking and mountain biking as well as forest roads smooth enough for a regular car or bumpy enough for any ORV enthusiast. Drive the Schultz Pass Road, bike the Pipeline Trail or hike to the highest point in Arizona, 12,633 foot Mount Humphreys! The Arboretum - Located about six miles south of town on Woody Mountain Rd. this 300 acre park displays the abundant natural vegetations of the Colorado plateau. Open early April through October, the Arboretum was once the home of a wealthy Flagstaff resident who generously donated it for all residents and visitors to experience the beauty of this natural landscape. A great place for solitude and holding hands. Snow Bowl Ski Area - A 20 minute drive from Flagstaff. Winter downhill skiing or take the sky ride in the summer for amazing views of Northern Arizona or start your hike of the Peaks here. Flagstaff Nordic Center- Over 1o miles of groomed cross country trails for skiing or snow shoes. Rent equipment at the Center or from a number of shops in downtown Flagstaff. Call (928)779-1951. Northern Arizona University - In the center of Flagstaff NAU has 15,000 full time students and plenty of activities. Flagstaff hotels and bed and breakfasts fill up well in advance for graduation and parent's weekend. Make your reservations early! Elden Hills Golf Course - A 10 minute drive from the center of Flagstaff. Our only public course. Call (928)527-7999 for tee times. Grand Canyon Association - Travel planning resources, bookstore and outdoor education opportunities. Grand Canyon Hikes - Get below the rim. Few visitors actually get down into the Canyon. Jon and his staff lead a safe, guided Grand Canyon hike. Take a day, an overnight or a backcountry trek. All equipment and meals provided. Raft the Grand Canyon - From a day trip up to two weeks, the majesty of the canyon is magnified from river level. A once in a lifetime experience. Recommended Restaurants - Reserve early, especially on weekends to ensure your desired time to dine. Cottage Place (928) 774-8431 Continental menu, gracious service. Josephine's (928) 779-3400 Modern American Bistro in a historic house. Beaver Street Brewery (928) 779-0079 Creative menu, micro-brewery. Pasto (928) 779-1937 Fine Northern Italian. Charley's (928) 779-1919 Historic setting. Southwestern specialties. Monsoon (928) 226-8844 Casual Asian, sushi. Mountain Oasis (928) 214-9270 Lunch or light dinner. Mediterranean options. Macy's (928) 774-2243 Great coffee, lunch, student hangout. Hiro's (928) 226-8030 Japanese Sushi Bar and Tempura. Buster's (928) 774-5155 Flagstaff's seafood restaurant. Horsemen's Lodge (928) 526-2655 Authentic Western steakhouse. Great salad bar. Late for the Train (928) 773-0308 Coffee, pastries, great sandwiches to go.